It’s no secret that I’m a gal with oily skin that sometimes acts like combination skin. So throughout the day, my t-zone gets slick and shiny. 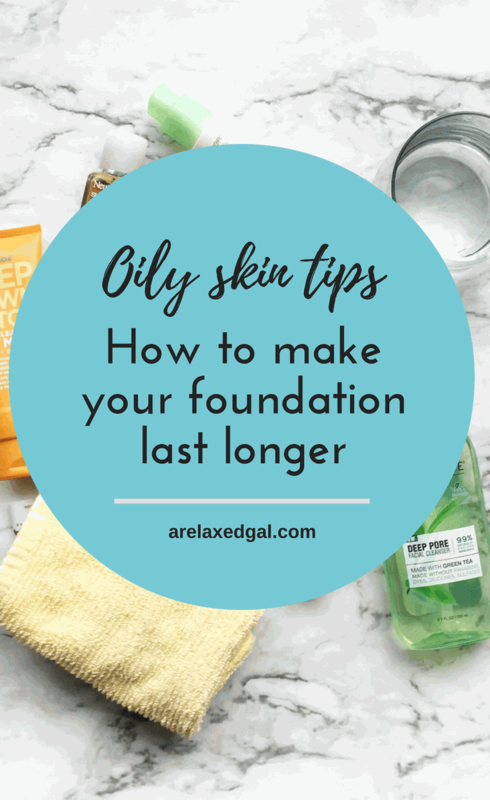 This can make wearing foundation for more than a few hours a bit challenging. I would sometimes go into the bathroom after being at work for hours, look in the mirror and notice my face looking like it had been a layer of oil on it. So I’d have to blot or apply some facial powder. I’ve even had issues with my pores being extremely visible and my foundation disappearing from my face throughout the day. As you can imagine it was embarrassing but I thought it was just something I had to live with because of my oily skin. As I’ve gotten older it got worse and I couldn’t stand it anymore. Through trial and error, I’ve been able to find products and application tips that work with my oily skin so it doesn’t look like a hot mess at the end of the day. In this post, I’m going to share those tips with you so you don’t have to have the same embarrassing experiences I did. Make sure your skin is cleaned and moisturized using skincare products that are formulated for oily skin. Also, make sure to apply a primer before applying your makeup because it will help your makeup last longer and control oil production. I’ve also found that doing a clay mask once or twice a week helps to really clean out my pores lessening the amount of oil my skin produces and shrink my pores. To help control oil production throughout the day wearing matte products is a must. 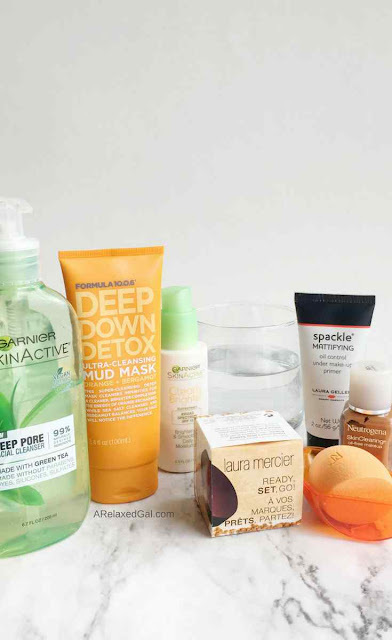 These products can be your primer, foundation, setting powder, or setting spray. When looking for mattifying makeup products look for ones that say shine control, oil-free, mattifying, or long-wear. I will caution that I discovered you can go overboard by using too many matte products at once. At one point I was wearing a mattifying primer, foundation, and powder every day and it dehydrated my skin. So now I stick to a max of two mattifying products. This is a trick I’ve seen many beauty vloggers do. Basically after applying your primer take your setting or translucent powder and apply it to the areas of your face that get oily throughout the day. Then you apply your foundation on top of that. On days when I forget to apply setting powder first, I find that my cheeks and forehead end up looking shinier and shiner as the day goes on and I have to blot multiple times during the day. By using a makeup sponge you can more easily press the makeup into your skin. This helps to create a more lasting and matte look. Now, this is a tip that could be controversial because some people are just dead set on using a makeup brush. And that’s ok if it works for you. It didn’t for me. I used to only be a makeup brush girl. If I used a makeup sponge it was one of those cheap white wedges and I never had much success with them. So I was skeptical about using a more expensive makeup sponge like this one from Real Techniques. After using it a few times I realized how much better my foundation looked and I haven’t turned back since. Back in the day, I used to just sweep on my setting or mineral powder. Then I saw a Jackie Aina video where she said to press in the powder. I tried it and lo’ and behold it worked! I looked matte longer and it took longer for my oil to break through. No matter what the foundation claims, some oil or shine is going to break through. I’ve finally come to accept this fact and am no longer ashamed or afraid of blotting my face a time or two throughout the day. To do this I use blotting sheets, thin tissues, or (unused) toilet seat covers. If you’re not interested in using paper there are blotting cushions available like this one from Beautyblender. 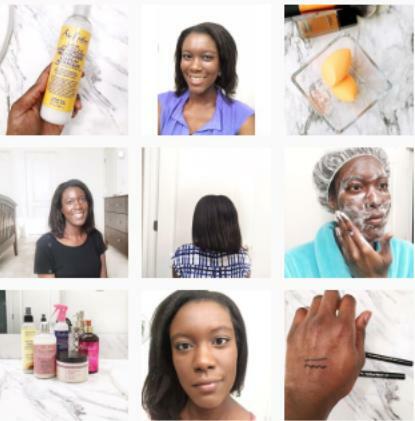 mattifying products is so key! 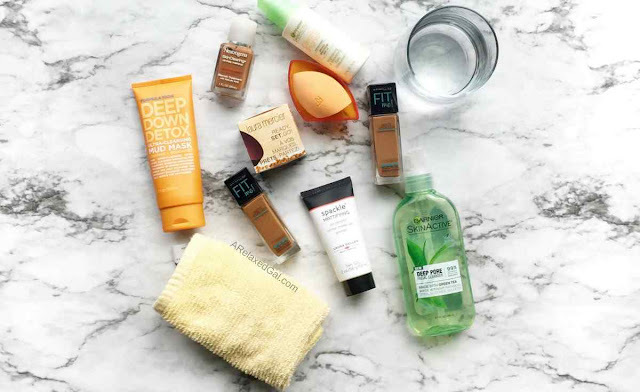 I just wrote a blog post about make up for oily skin too!